It is quite tough to outperform in modern online business without having tech-enabled digital solutions. This article will tell you about the best Magento 2 extensions that perfectly suit your eCommerce platform in 2017. You can also make use of our 2016 article, in case you missed it earlier. To start with, let me ask you the following questions. Why on earth do you need to get these extensions installed and go along with your ideal out-of-the-box e-shopping software? What is the reason of using all these apps, add-ons, plugins and whatnot after all? I am dead sure you have already asked yourself the same questions. Let’s take a small tour now. It is an open secret that Magento 2 is a superb eCommerce platform for deploying your online business campaign. Followed by timely and necessary updates, Magento 2 provides B2C and B2B web stores with enhanced e-shopping services and holistic customer engaging ecosystem. 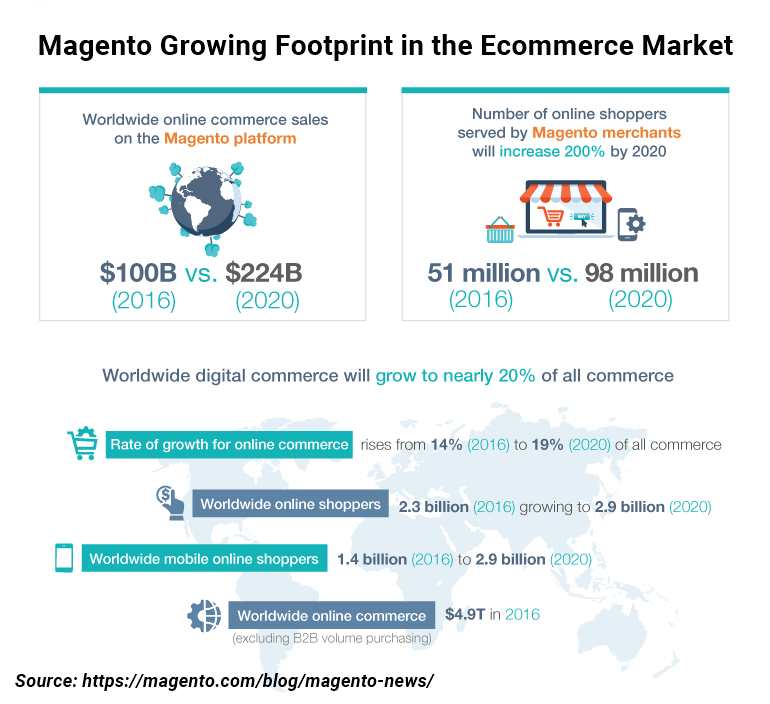 According to SimilarTech, Magento 2 is used recently as the eCommerce platform for more than 4,000 forward-thinking web stores all around the globe with more than 1,000 only in the USA. It is telling that Magento does not suffer from migrating customers to other platforms, instead it gains a lot of newcomers from such such popular eCommerce projects like WooCommerce and OpenCart. The stats showcases that Magento2-based solutions are really worth opting for. 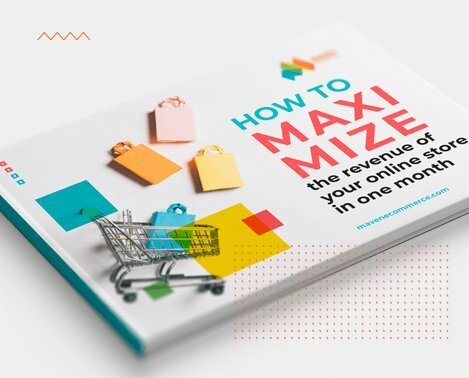 Being therefore one of the most efficient eCommerce platforms – Magento 2 can handle 117% more orders and 2.1 million more page views per hour compared to the previous versions, it may not cater to all your individual business needs. 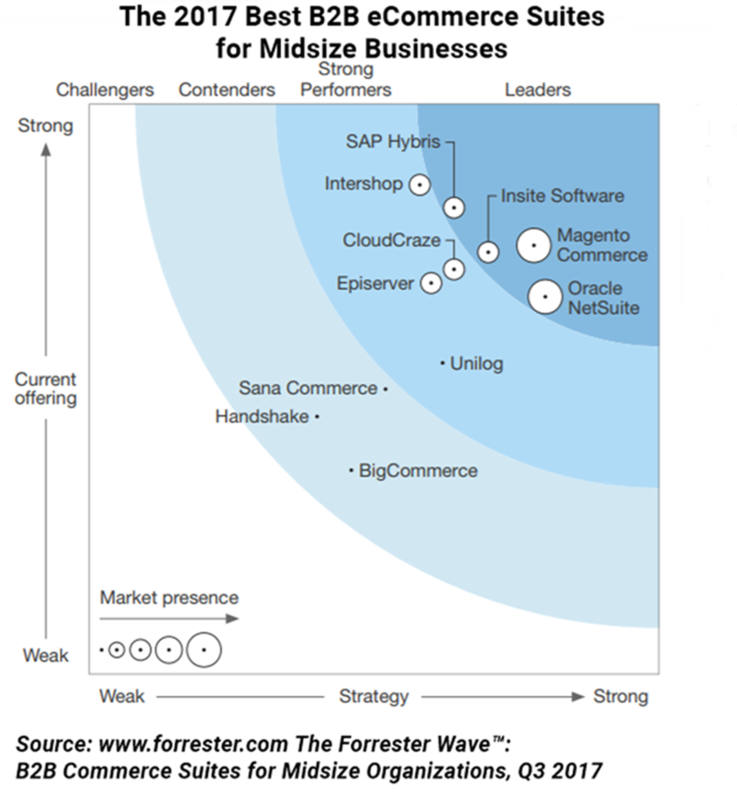 In fact, there are no one-size-fits-all solutions in eCommerce as it’s quite impossible (and superfluous as well) to integrate everything that various B2C or B2B companies require. That why it is of paramount importance to get aboard some additional software complementing your very digital business needs and goals. That’s actually what e-shopping extensions are for. They can perform supplementary functions going beyond basic default eCommerce solutions. When you employ such a unique toolkit that enables to customize the web store functionality, you will create an improved shopping experience letting you stay ahead of the curve in upcoming 2018. The only problem with extensions is that there are literally loads of them to choose from – over 1,200 extensions for Magento 2 are available on a marketplace! So, here is a chance for you to indulge in the popular 2017 solutions to optimize your business performance and maximize profits. Keep in mind, however, to pick only those you really need to improve your web store. Overstuffed eCommerce platform will result in continuous system downs, lagging and crashes. So are ready to get equipped with great online shopping ammunition? Store Locator. Great solution that enables locating of customers, and according to geo-local data, helps them find the nearest brick-and-mortar store of a certain vendor. Smart combination with Google Maps capabilities allow your leads and customer find your physical (if any) store therefore, creating an engaging environment. GeoIP Store & Currency Switcher. That’s a very useful tool allowing you to timely change currency and language settings according to geolocation of you online customers. Geo IP Currency Switcher and Language Switcher extension helps you make this process in automated mode as it can precisely locate an e-shopper’s whereabouts. Moreover, all the data concerning personalized currency and language are saved in the database. Checkout Suite (One Page Checkout). This smart extension can slim your awkward checkout process and turn it into a customer-friendly quick checking out procedure. Customizable color themes are also here. Moreover, to improve customer experience, there is a text message field for smooth and quick interaction (inquiries, feedback, etc). Product Bundled Discount. Increase your sales with this Magento 2 extension by letting customers have bulk discounts based on grouped-up items. You may build up your marketing strategy so that e-shoppers start looking for upsells and cross-sells to get a group discount. CyberSource Tokenization Payments. Secure your customers with special Token IDs that guarantee strong cloud protection for their personal billing information. You can make every eCommerce transaction to be safe and sound via sophisticated encryption process that excludes any possible fraud or cyberattacks. Price Per Customer. If you don’t know yet how to reward your loyal and returning customers – this extension is right for you. By using a special algorithm, it allows you to set personalized prices and discounts per target group or even individual customer. This tier pricing feature can really gains much value to your online brand. Shop By Brand. Yet another one Magento 2 extension that makes a life much easier both for e-merchants and their customers. There are several analogs on the marketplace that have similar functionality, however, we like this one regarding its fair price and rich features. With a help of this extension you can easily both manage your SKUs into separate brands and create your own brands to optimize customer experience. Remarkety Email Marketing Automation. This smart tool is geared for deploying personalized email campaigns. You can efficiently expand your reach and fight the cart abandonment problem. It has smooth and various templates to precise emailing to different target audiences and convert your subscribers into customers. SimiCart Mobile App Builder. Great news for mCommerce fans! With this Magento 2 extension you can create an effective iOS and Android app for your web store on the fly. Explore new mobile channel as a means of promoting your online business and converting new sales. MatrixRate Table Rate Shipping. Shipping has never been a piece of cake. Make a shipping process for you and your customers smooth and easy. It provides a rich choice of delivery methods, enables to customize shipping based on destination, cart weight, subtotal and quantity with strong regard to customers’ geolocation. There is only a small bunch of Magento 2 extensions that we find useful for your online business projects in 2017. Visit us to see how you can smoothly integrate them to your eCommerce platform. Looks a useful and great list of best Magento 2 Extensions. However, I think one extension is missing, Live Chat. Overall looks awesome! Nice list Oleg, although the article is bit older but some of Magento 2 extensions you mentioned are still really helpful including one page checkout and shop by brand. Thanks.